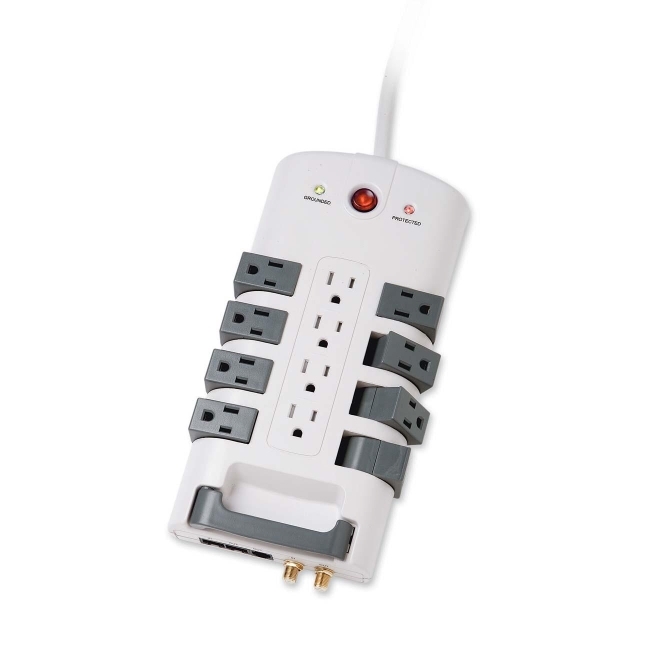 12-outlet surge protector has eight 90 degree rotating outlets and four fixed outlets. Features 15 amp overload resettable circuit with indicator light, EMI/RFI noise filter, telephone/fax/modem protection, RJ-11, and RJ-45 network line protection. Surge protector includes network and phone line cables. Cord is 6' long.